Either you are a man or women, hair is so important to us! I wore a hijab since 15 years old and realised that my dandruff condition getting bad from time to time, its time to end this problem. 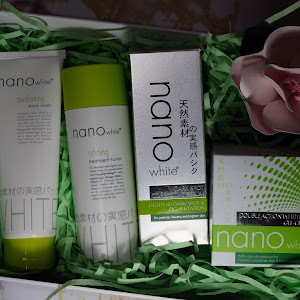 I have tried hair treatment at saloon and variety of shampoo that cater to the problem. To cut short, I'm willing to try anything as long it's good for my hair. 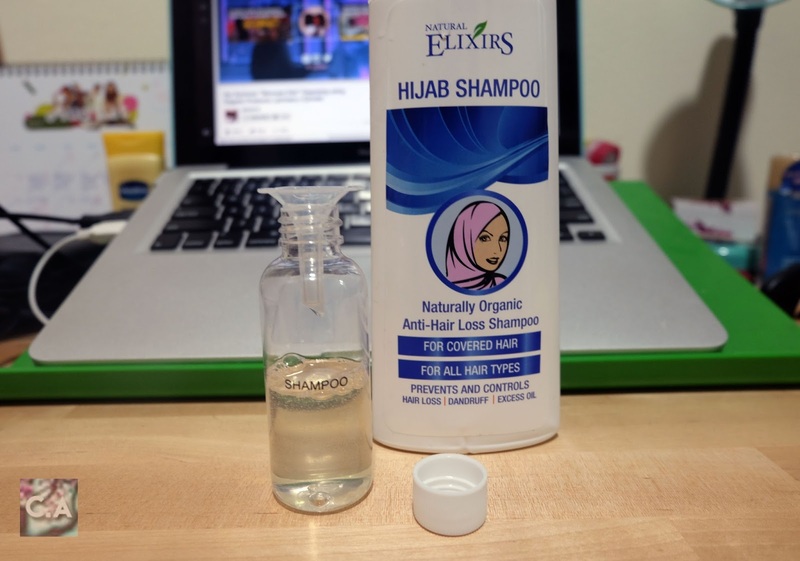 So, would Natural Elixirs Hijab Shampoo will unleash their magic? Let's find out here! Naturally Organic Anti-hair Loss Shampoo from Natural Elixirs! 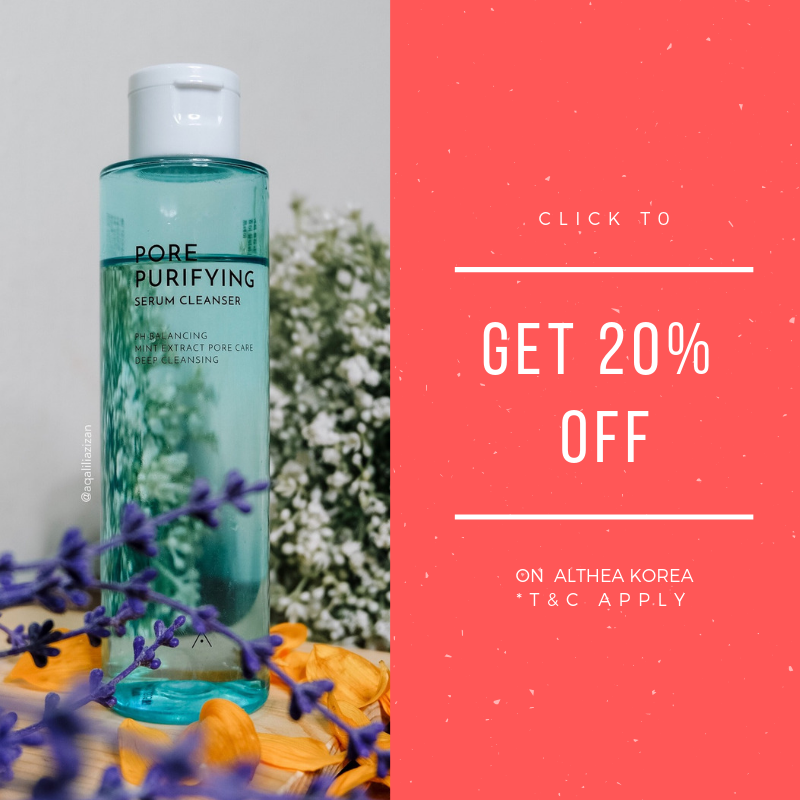 It's my first time trying out product from Natural Elixirs, so I was a bit sceptical but when I read their story on the website I start to get into it especially their vision for the future. Founded in 2007, Natural Elixirs Sdn. Bhd. specialising in Research & Development of local plant-based remedies and developing existing traditional formulation into alternatives to chemical-based medicines. 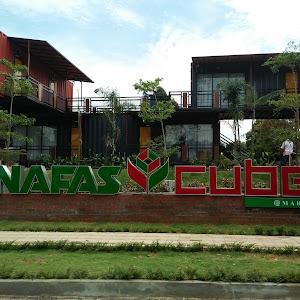 So, beside this shampoo they have variety of products such as functional teas, sports nutrition and many more. 2 in 1 product, act as shampoo and conditioner. Prevents and controls hair loss, dandruff and excess oil. 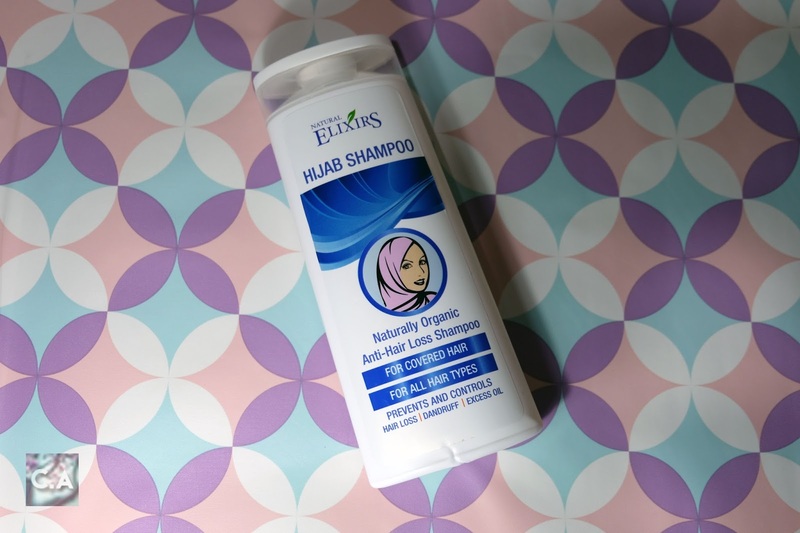 Full information of Natural Elixirs Hijab Shampoo. Cleanses and moisturises hair and scalp. Regulates natural exfoliation of scalp leaving it refreshed and invigorated. Balances out sebum production and reduces excess oil. Antioxidant properties protect hair from damage and premature aging. Energises and revitalize hair roots for hair that is shiny and healthy. Prevents hair fall and keeps dandruff away. When I received this product, I actually get to used it at home once before flying out for vacation. My first impression about the products that the bottle is heavy (pack with products), smells good and quite shock about its 2 in 1 features (shampoo and conditioner). I wrote all the good things above but the cons are that the texture is really runny which lead to leaking and there are no instructions on the packaging. 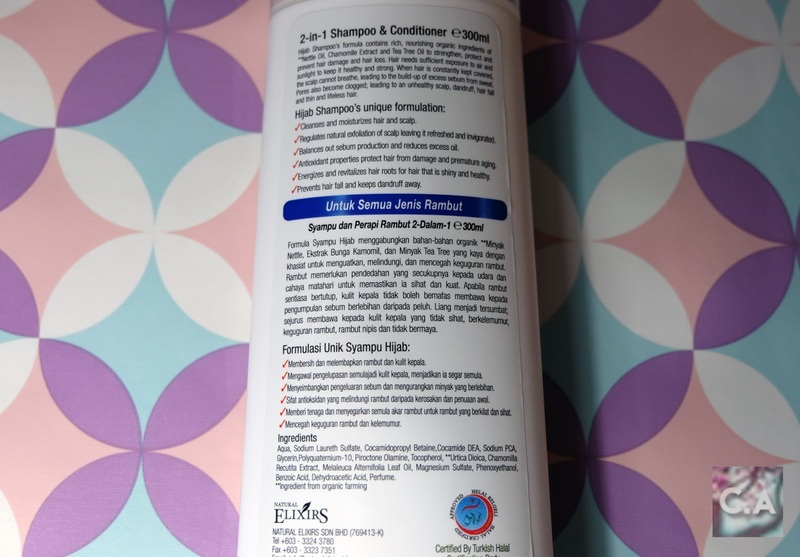 I can make some suggestion like it would best changing the packaging to a pump bottle, so the customer can control how much they want for their hair length. For instructions, I think all products should have it to get better results rather than just eyeball it. All you need is one bottle for travelling, and you get shampoo + conditioner! Back to positivity, I find that this shampoo is great for travelling. All you need to is transfer in small bottle and you are good to go. 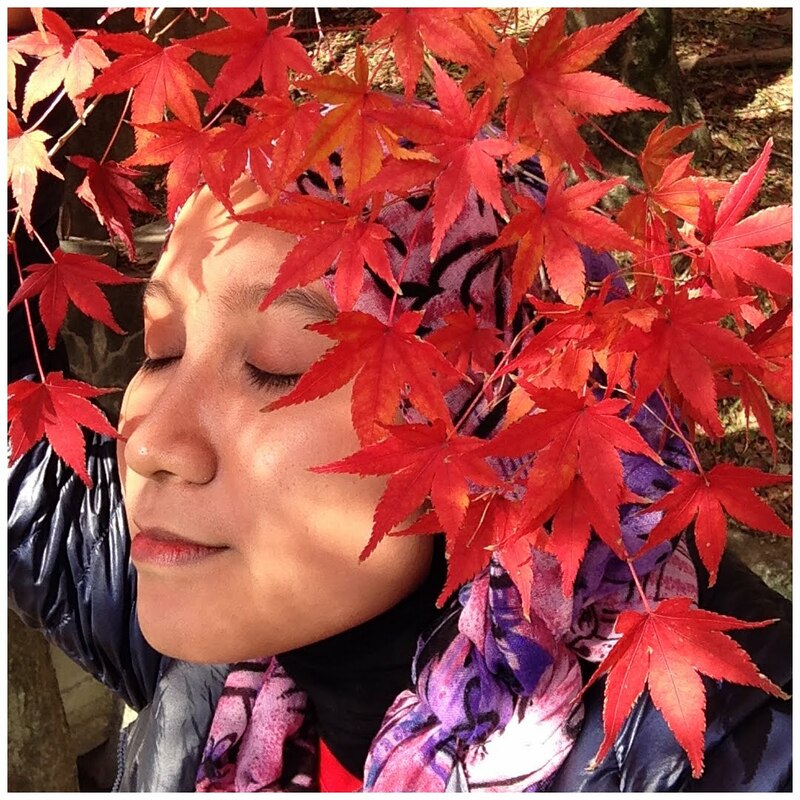 Another things, when I travelled, I tend to wear hijab for more than 8 hours which make the scalp cannot breathing, build-up of excess sebum from sweat, and pores also become clogged. With this shampoo, my hair feels really good. It does lessen the hair fall and dandruff on my first trial. Oh! Did I mentioned is also great for coloured hair too? I coloured my hair few months ago and I notice that the shampoo doesn't get rid that much of the colour. The aftermath after it dry, my hair get a little bit volumnized but still soft. I tested it by combing with my hand (don't do this often) and it slides through it. Yes I will! I have tried tons of hair dandruff shampoo and it seems like this one works wonder on me. 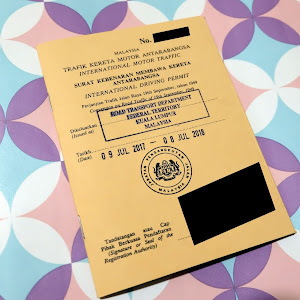 The price which is retail for RM 24.90 are just too good to be true. 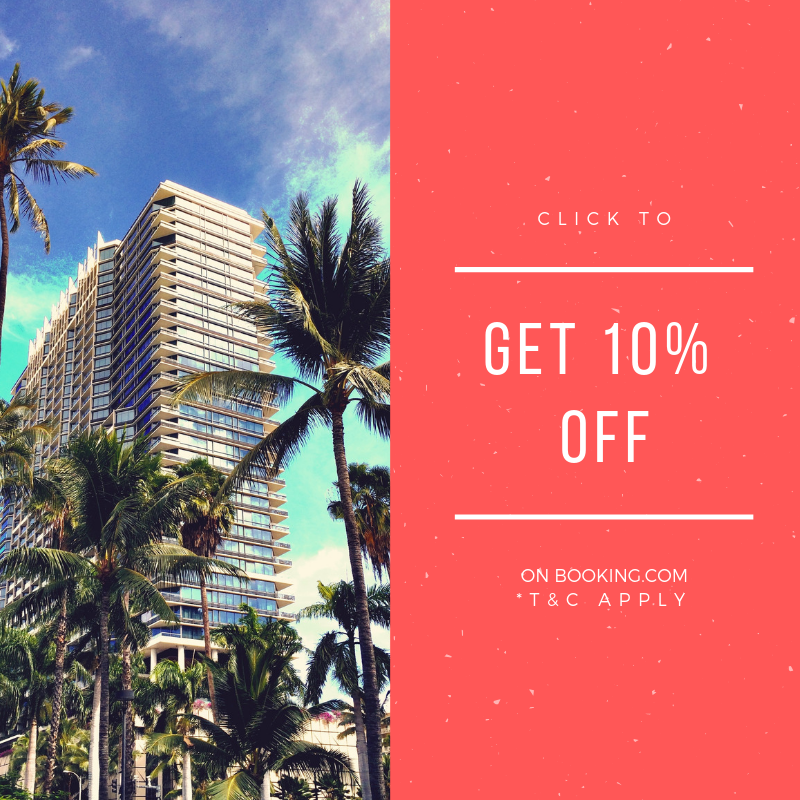 Plus, no need to hustle and bustle because they sell it online on Lazada and other online platform. 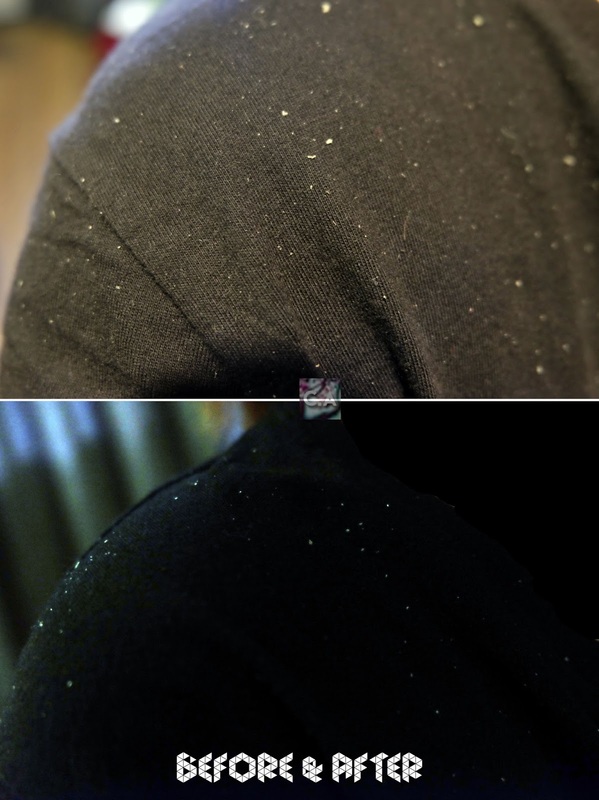 Before & After washing my hair with hijab shampoo = less dandruff on my shoulder!